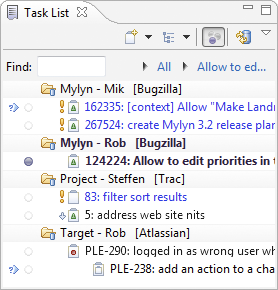 Mylyn's task-focused interface reduces information overload and makes multitasking easy. 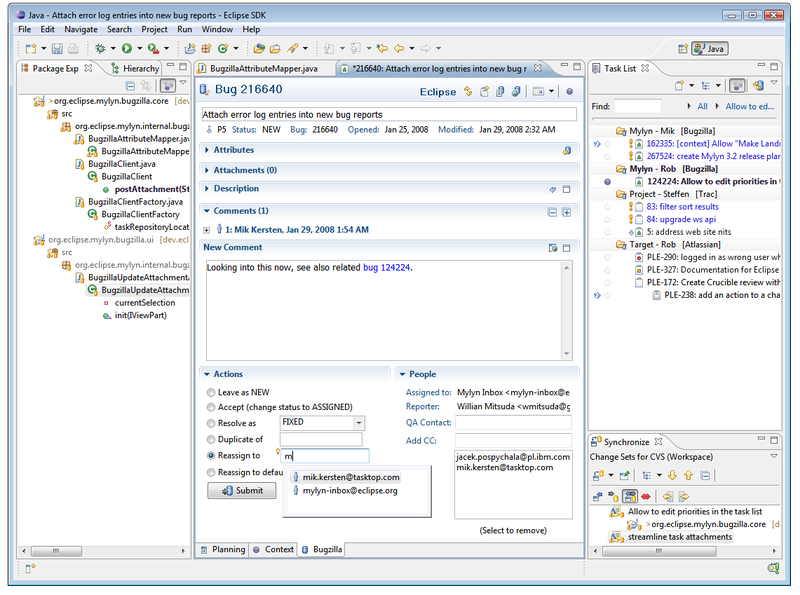 Mylyn makes tasks a first class part of the IDE, integrates rich and offline editing for ALM tools, and monitors your programming activity to create a "task context" that focuses your workspace and automatically links all relevant artifacts to the task-at-hand. This puts the information you need at your fingertips and improves productivity by reducing information overload, facilitating multitasking and easing the sharing of expertise. Get the latest and greatest Mylyn release. Find support and interact with users and developers. Resources for new users, links to tutorials and articles.